Use SMS to automate your staffing and shift fulfillment process. Supplement your current staffing software with TIM mobile platform to more easily share and fill open shifts for on-call staff, nurses, caretakers, temporary workers, and contractors with SMS messages. 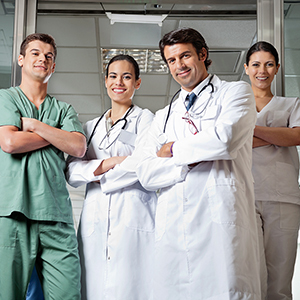 Create unlimited worker ‘pools’ to target available on-call nurses, doctors, caretakers, or temporary worker candidates using configurable availability parameters for each candidate. Send automated text messages to offer shifts to candidates. Simply specify the shift details and tell TIM which groups to ask, and TIM will only ask candidates who are available. To accept a shift offer, candidates simply reply to their SMS with a ‘Y’. TIM awards the shift to the first to respond, and politely notifies everyone else that the shift is filled. TIM sends automatic reminders to ensure your candidates don’t forget they committed to the new shift, which helps ensure that the shift is successfully covered. Use SMS to reduce your Failure-to-Attend rates due to forgotten appointments and lengthy wait list queues. Use TIM to handle appointment changes and send automated appointment reminders to patients to improve failure-to-attend rates and shorten waiting list queues. Automated SMS reminders are a proven tool for reducing failure-to-attend rates. SMS can remove the need for costly phone calls, and unlike email the SMS messages will reach your patients wherever they are with their mobile phones. Reduce failure-to-attend rates by allowing patients to cancel, reschedule, or provide additional info right from their mobile devices. Their responses are captured and automatically processed by TIM and updated in your scheduling systems. Help manage and even reduce long wait lists and queues by automating status updates and re-confirming appointments at certain intervals via SMS. Patients can also interact with your systems via SMS to confirm or reschedule appointments. TIM Hospital Communicator integrates with most hospital scheduling, calendar and contact database systems to extend your scheduling capabilities to include SMS as a tool for appointment management. Provide a rapid broadcast notification system and 2-way SMS throughout the hospital. Use the TIM online broadcast notification portal to rapidly send time-sensitive information via SMS to various groups of people anywhere. In advance, you will create your templates and group lists and your message templates (for example, different templates and lists for your various hospital staff groups, doctor groups, specialists, and first responders, etc.). Or, import group lists and contacts from existing hospital IT systems. Trigger alerts from any web browser, whether you are on or off hospital premises at any time of the day or night. In fact, broadcasts can even be initiated using SMS from your mobile device.The system is pre-configured so you can quickly deploy time-sensitive information to the right people from wherever you are. Add customised content to broadcast messages, and use TIM Hospital Communicator to combine group lists, request delivery confirmations and view real-time reporting during an event. Send ad hoc notifications anytime, or schedule automatic delivery of pre-written or pre-recorded broadcast messages. TIM can be used to provide ongoing communication during and after the event. SMS is a powerful way to verify worker staff safety & status, and TIM’s ‘Are you OK?’ StaffSafe application can track responses and can be set to automatically escalate if no response is received based on duration rules you establish. Design customised SMS programs that go beyond the walls of the Hospital. TIM Hospital Communicator can also be used creatively for unique 2-way interactive mobile experiences for a variety of hospital programs, extending hospital programs to the entire community. Seamless integrations with existing systems and award-winning Telstra software. 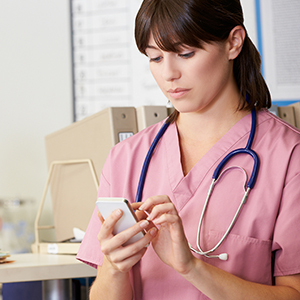 Telstra Integrated Messaging (TIM) is widely used by hundreds of hospital customers and thousands of business and government entities in Australia. TIM Hospital Communicator is built on an award-winning software platform and offers proven technical platform adaptability and stability to address the evolving messaging needs of any school. “Smart APIs” extend 2-way messaging for leading hospital administration systems, patient information systems, and various alerting and facility IT systems. TIM Hospital Communicator is backed by Telstra’s 24x7x365 highly available support team.